Harry N. Abrams, 9781419722967, 320pp. 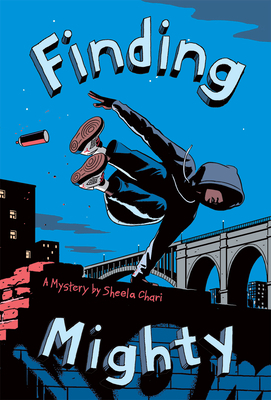 "Savvy readers will put the pieces together, too, although false leads and red herrings are cleverly interwoven...the rich backdrops of gritty New York City and history-laden Dobbs Ferry and is made all the more colorful by references to graffiti art and parkour." "Fast-paced and intricately plotted, Chari’s mystery is a rare achievement that pays off at every turn, featuring characters of color interested in their families’ histories and cultures." "Told in alternating chapters by the three main characters, this novel contains all the right elements for an intriguing adventure: a long-ago theft, a suspicious death, a lost cache of uncut diamonds, menacing gang members, and a shrouded family history. . . it is a heart-pounding race to see who will untangle the mystery first. And at what cost."